Newly upgraded, the Diamondback 910Ub upright exercise bike has plenty to offer at a very affordable price. 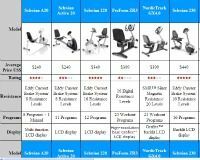 You get tons of workout programs and resistance levels, plenty of adjustability, wireless heart rate monitoring and an entertainment system, along with a number of other upgrades. 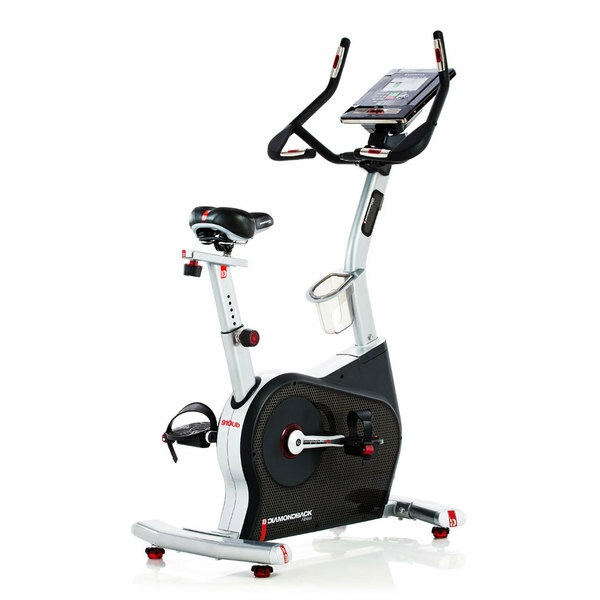 The Diamondback 910Ub upright exercise bike has an attractive console with a three-level LCD display for readouts of total time, segment time, watts, distance, calories, RPM, speed, resistance level, and heart rate. A matrix display shows graphics for program progress, and it has a heart rate bar graph in an easy-to-read format. The display also provides visual cues when data entry is required to set up programs, and indicates which options are available. Check out the popular 910Ub on Sale at the Company Store! The Diamondback 910Ub upright exercise bike has become quite popular recently due to all of the great features the company packs in without raising the price tag. You get a built-in media bay door on the top of the console to access an Apple® docking station for an iPad, iPhone, or iPod device, as well as a USB port that can charge other Mp3 devices. There is also an universal Mp3 plug-in jack inside the media bay. Other entertainment features include an on-board amplifier, headphones jack, and integrated stereo speakers on the console. To get you motivated, the Diamondback 910Ub has 35 challenging programs to choose from including Heart Rate, Fitness Test, Strength, Interval, Hill Climb, Fat Burn, Random, and Lap. That's a lot more workouts than you typically get on an exercise bike in this price range. The Polar-compatible wireless heart rate receiver allows you to track heart rate without holding on to contact sensors, and the multi-position handlebars allow you to pedal while sitting upright, or position in a racer-oriented forward stance. The Diamondback 910Ub console also tilts and pivots at the base for a comfortable visual sightline, which makes it ideal for all users. 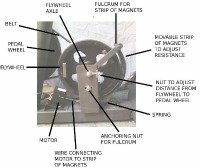 More top components of this upright exercise bike include the high-density foam Velo saddle, which is adjustable up/down and fore/aft, high-performance bearings and crank sets, and a superb belt-driven eddy current brake system provides for a smooth, quiet ride and 32 increment levels of resistance. You can also check out the 910Sr recumbent bike, which shares many of the same features as the upright. Either one is a very solid choice. How Does the 910Ub Compare to the Other Diamondback Bikes? There are currently a total of four upright and recumbent Diamondback exercise bikes on the market. You have the base 510Ub and up-level 910Ub uprights and similar 510Sr and 910Sr recumbent bikes. The 910 models are more advanced than the 510 models, yet only cost about $100-$250 or so more so are definitely worth considering. The entry level 510Ub gives you 20 workout programs, 16 resistance levels, rider height from 5'4" to 6'5" and max user weight of 300 lbs. As you've read above, the up-level 910Ub gives you 35 workout programs, 32 resistance levels, rider height from 5'2" to 6'5" and max user weight of 325 lbs. It also adds wireless heart rate monitoring, east resistance changing, automatic fan, and premium pedals, cranks and seat. The 510Sr gives you the same main features as the 510Ub, only it's a recumbent bike rather than an upright one. Similarly, the 910Sr shares features and capabilities with the 910Ub in a recumbent version. So if you have the budget for it, it definitely makes sense to choose one of the 910 versions as they give you a lot more for your money. If not, the 510 series is perfectly fine, and still gives you plenty of features and enough to get a great workout in. Reviews from equipment pros and home users on the Diamondback 910Ub have been excellent. This bike has been upgraded from the 900Ub model which has also received very good reviews. If you don’t need the Apple docking station for devices, or a large selection of 35 workout programs, save a few hundred and buy the 510Ub model instead. Overall, the Diamondback 910Ub upright exercise bike is one of the top bikes at priced at $899 and for all of its quality and features, it rates a Good Buy.